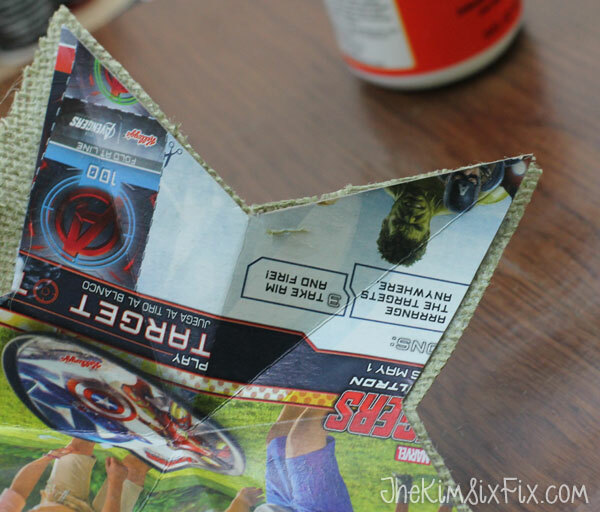 To see more great ideas, make sure you scroll all the way to the end of this post! 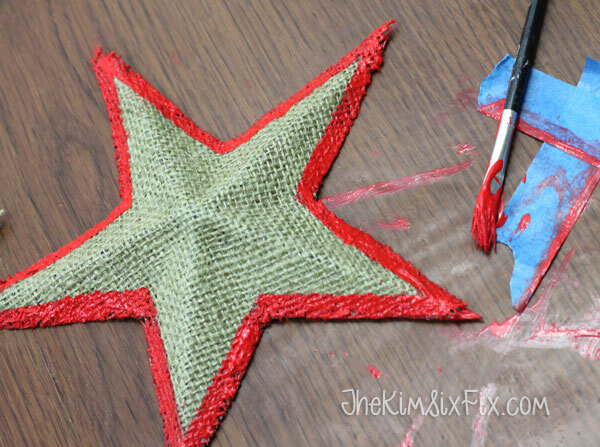 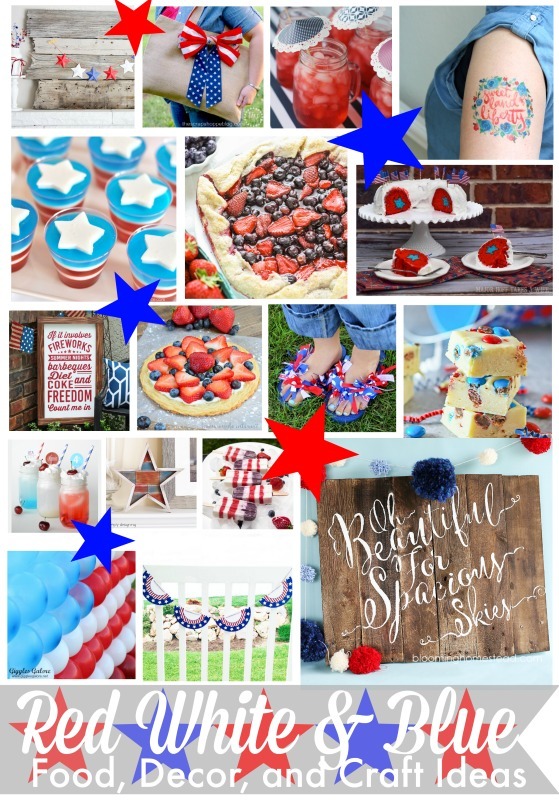 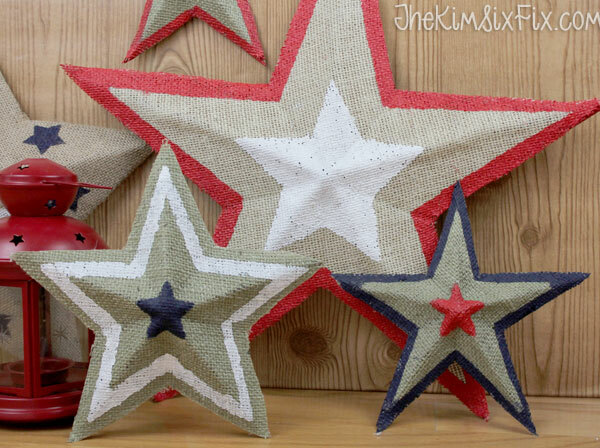 My project are these easy (and inexpensive) burlap stars that I painted in red, white and blue for the Fourth of July. 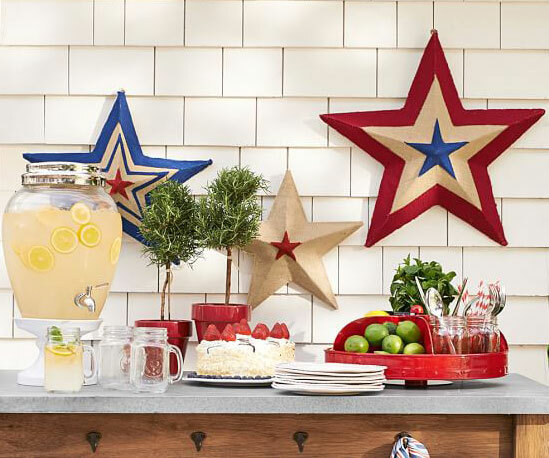 You could use them plain or painted a solid color for other holidays or even for everyday, but I wanted to copy my inspiration version which happened to be red, white and blue. 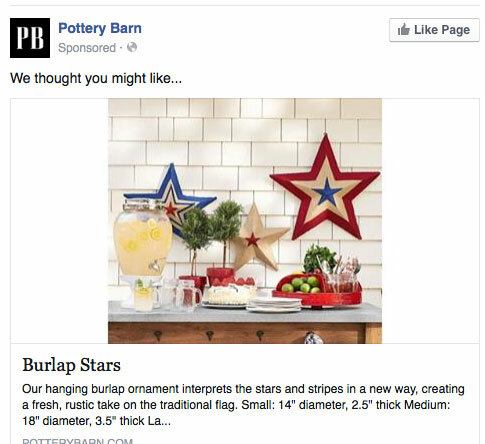 Apparently Facebook is pretty smart since they "thought I might like" those stars.. and I absolutely did. 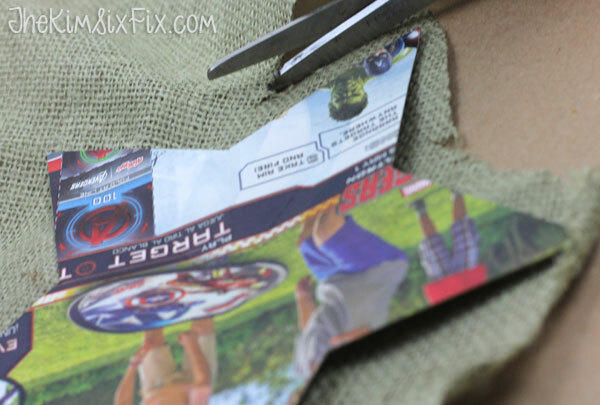 But what i didn't like was the $40 pricetag. 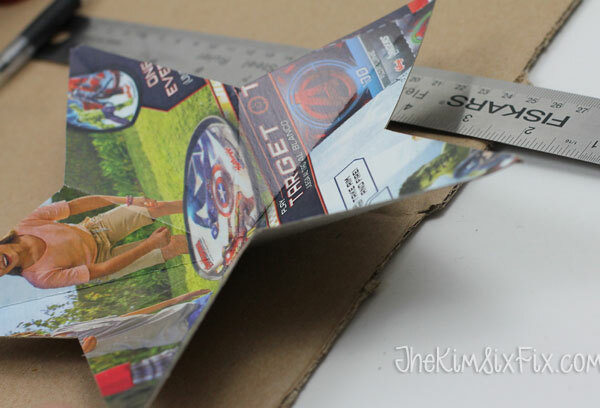 I knew I could create my own version with stuff I already had on hand. 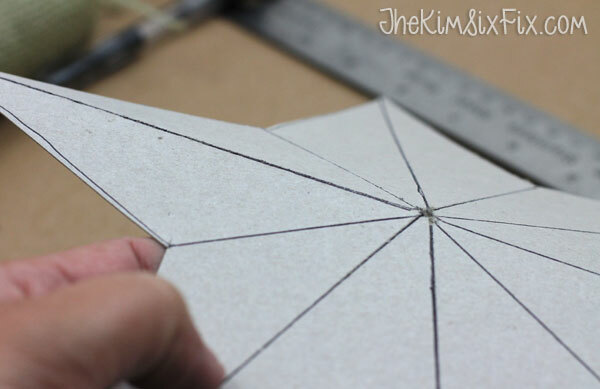 I cut it out of the chipboard (the corrugated cardboard pizza box worked the same way) with my scissors. 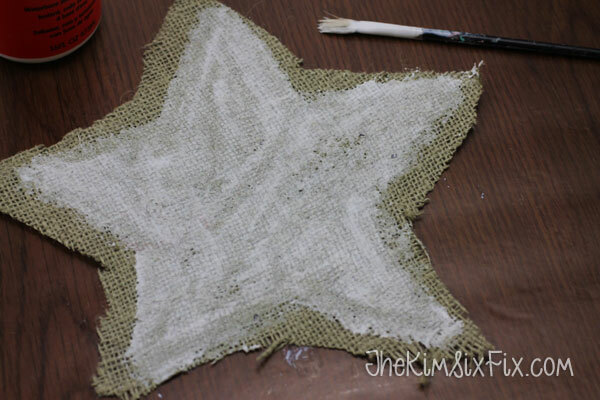 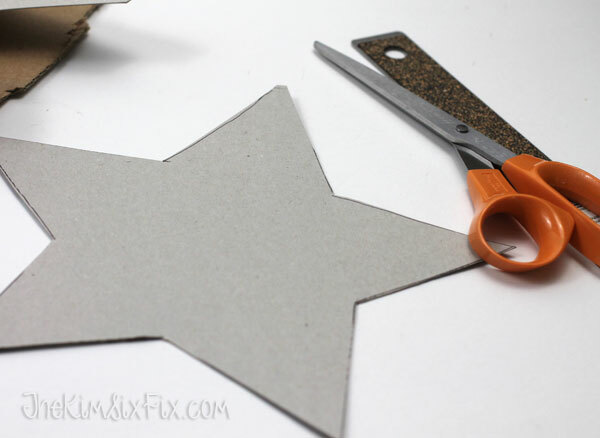 Next I used the star as a template to roughly cut out the burlap, leaving a generous overhang. 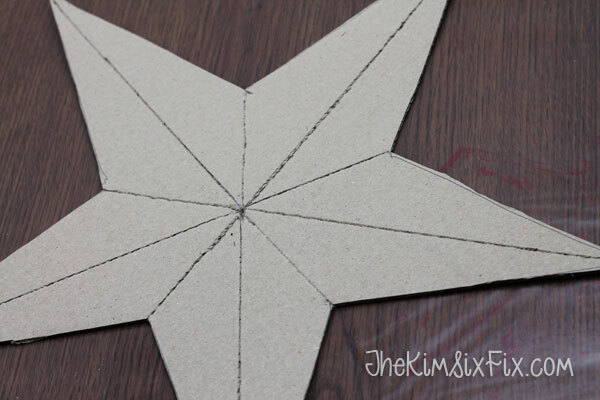 I folded OUT along the line down the center of the points.. and I folded IN along the lines between the points. 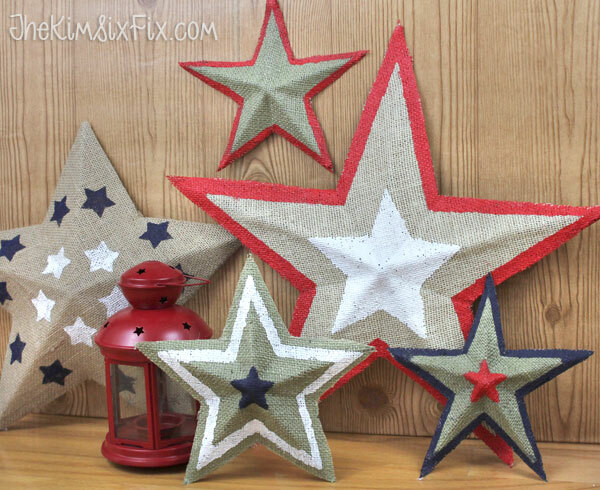 The "accordion" style folding results in the 3D look of the star. 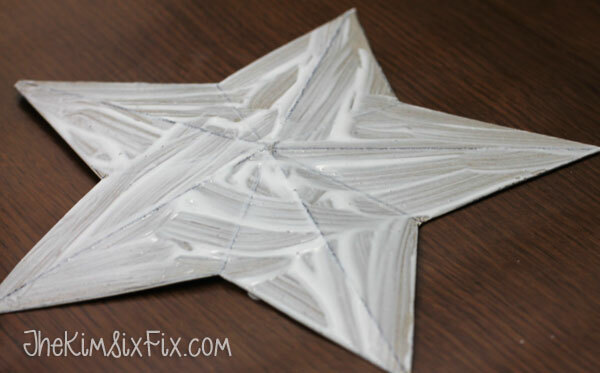 While the glue was still wet I folded the star into it's 3D shape. 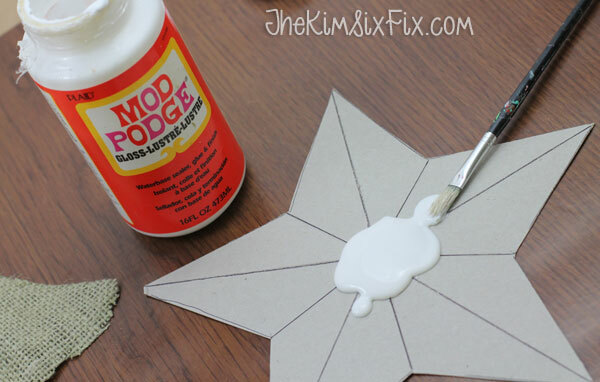 I'm warning you now: THIS IS A MESS since you end up with mod podge on all your fingers, there is no way to avoid it. 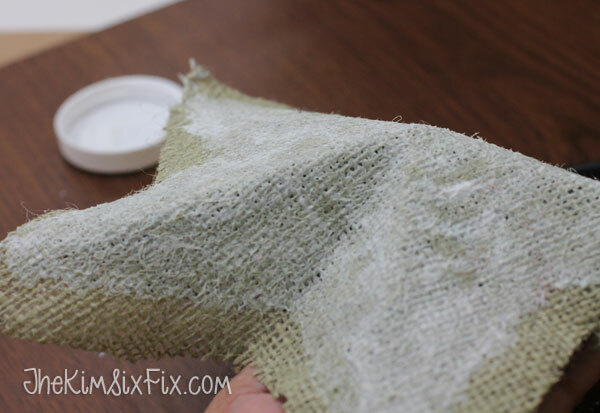 However the nice part is that the glue acts like a fabric stiffener so you don't have to do anything else but let it dry. 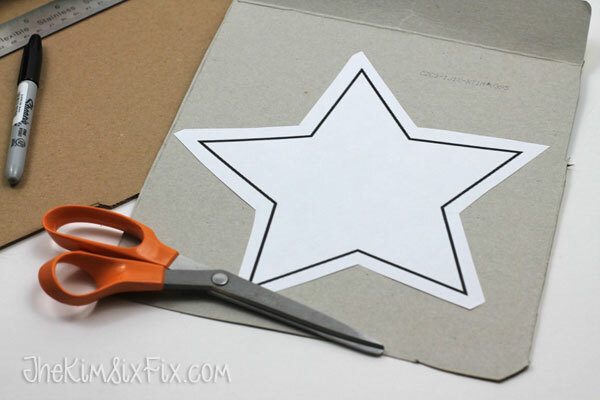 When it does the star will hold it's shape permanently. 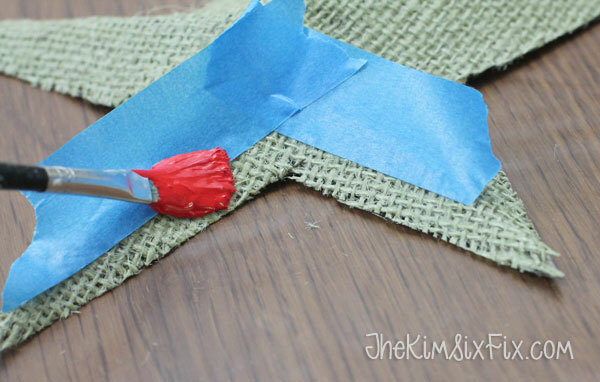 Once it is dry you do want to go back and trim all the edges to get a more polished look. 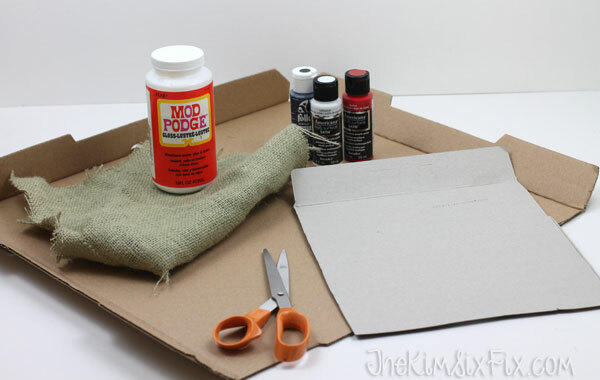 You do it after it is dry since the Mod Podge will stop the burlap from fraying. 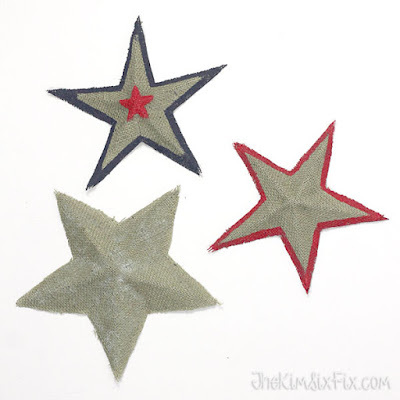 Finally, if you want to, you can pain the stars. 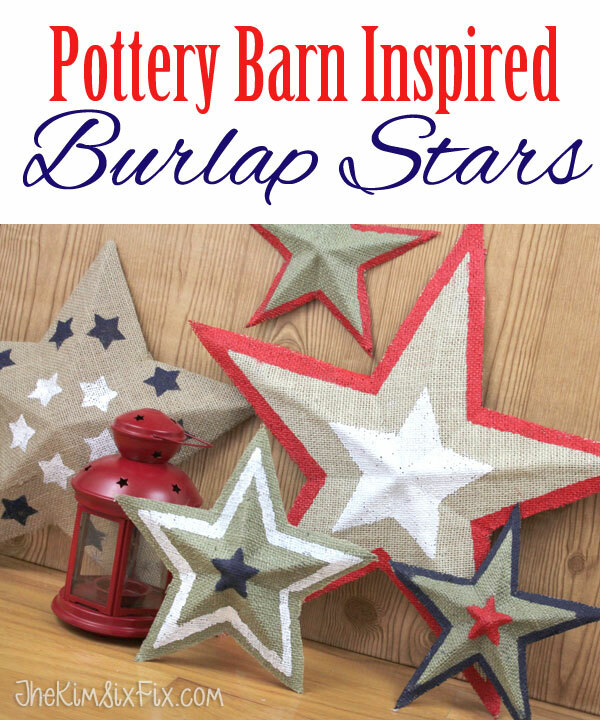 I copied a few of Pottery Barn's colors and patterns using painter's tape and then I created my own design using a star stencil I made. 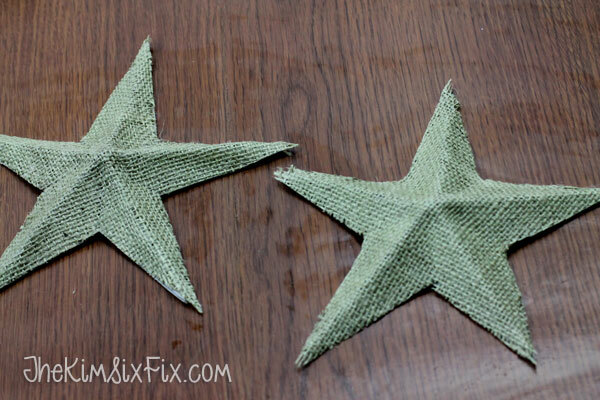 I love how they came out. 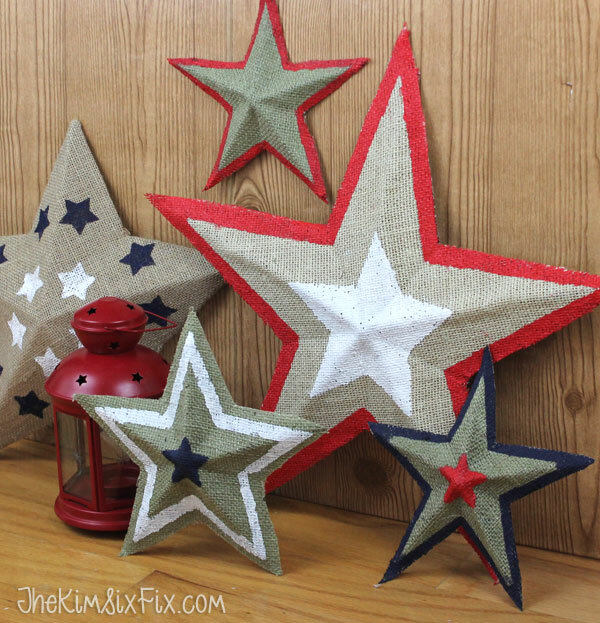 I can't wait to use them in my Independance day decorating! 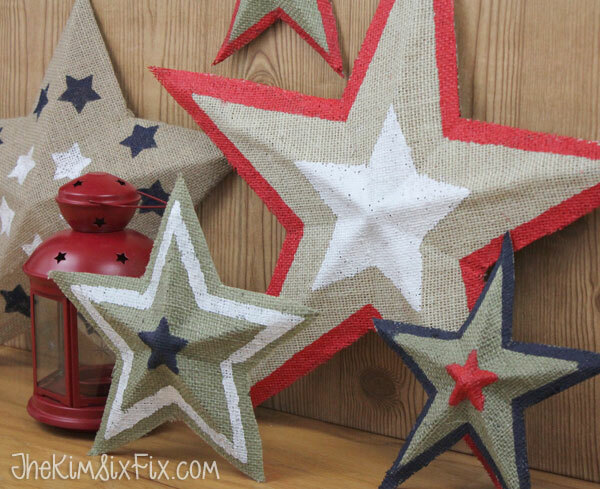 And if you love them, but don't want to make your own, remember you can always find the original version on the Pottery Barn website.